This timeless anthology is a knockout featuring fan favorite superstars and the biggest moments from the WWE's diverse history. Going beyond what you get to see on TV and Pay-Per-View, WWE: Then. Now. Forever. is an anthology collection taking fans through the greatest moments of Sports Entertainment history. 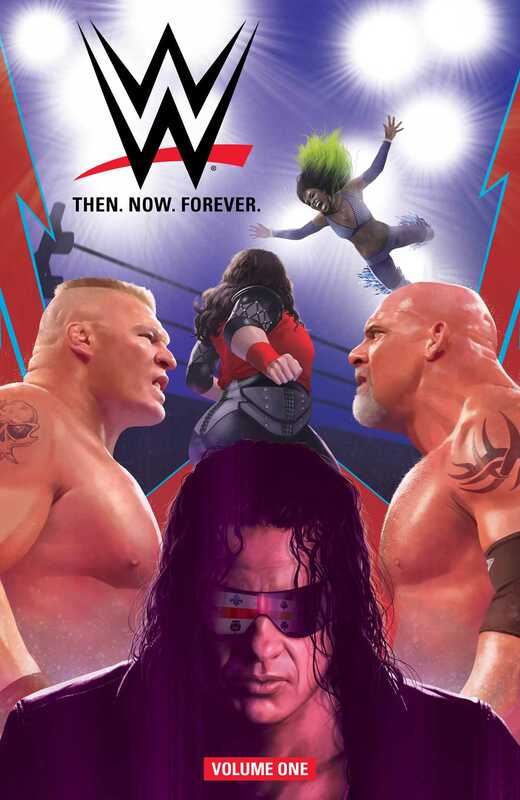 From legendary Wrestlemania matches to sizzling Summer Slam feuds, the biggest and best moments are highlighted, showcasing fan-favorite superstars like Dusty Rhodes, Shawn Michaels, Triple H, Razor Ramon, Daniel Bryan, Sasha Banks, The New Day, and more! Featuring an all-star roster of writers and artists including Dennis Hopeless, Box Brown, Jim Rugg, Ed McGuinness, Rob Guillory, Dan Mora, Andy Belanger, Jorge Corona, and Daniel Bayliss, this anthology celebrates the rich history of WWE throughout its many eras.